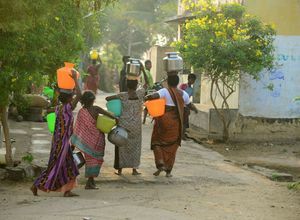 Currently we support about 100 projects in India and Bangladesh and reach more than 500.000 people. Our projects target the problems which are most urgent and implement solutions which have a sustainable impact. We always address the poorest and most disadvantaged people. All our projects aim to open new opportunities for the people so that they can develop their own skills and use them. Four major targets shape our work: to strengthen rights, to promote education, to faciliate health, to secure independence and to protect the environment and the climate. In 1967 ANDHERI HILFE e.V. was founded in Bonn. In the beginning the main objective was to ensure the daily portion of rice for all the 400 orphans who lived in St. Catherine's Home in Andheri. In the following years ANDHERI HILFE developed continuously with Rosi Gollmann as first chairwoman. 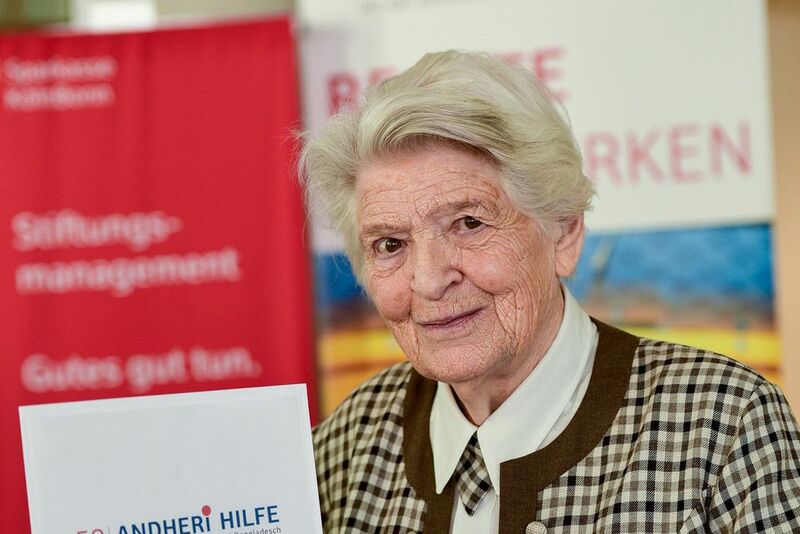 Soon the aim was no longer to fight symptoms as hunger or sickness, but to find out and approach the reasons: ANDHERI HILFE developed from the pure charitable help towards development cooperation based on partnership. We see a world which becomes more livable for everyone. A world in which progress means more justice and humanity, a world in which the future opportunities for today's and tomorrow's generations are ensured. Please donate for our projects in India and Bangladesh! Everything started on a day in 1959 when a student of Rosi Gollmann, inspired by Rosi Gollmanns strong social consciousness, brought an article from a German magazine to class. The described misery in an orphanage in Andheri close to Mumbai left Rosi Gollmann restless. Together with her students she packed hundreds of parcels with essential goods for the orphans of Andheri. 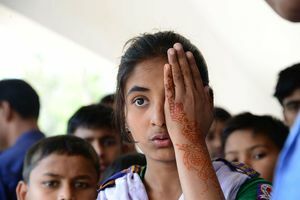 To be blind is a severe destiny in any Western country and much more in a country like Bangladesh. Currently about 800.000 blind people live in Bangladesh. The number of affected people is growing every year, even children are affected. In the last years we could give back their eyesight to over 1.3 million people trough a simple surgery. And we are still going on! In Bangladesh we offer young women and men from poor families the possibility to take part in a professional training in our mobile trade schools. They can't afford to live far away from their home villages and for young unmarried women it is a cultural problem to leave their families. 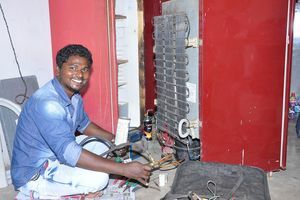 In our mobile trade schools they can stay in their home villages. The apprenticeship program lasts six months and trainings are offered e.g. in the sector mechanics, electro-technics or tailoring. We furthermore support the apprentices to find a working place or to launch their own company after the training. Rosi Gollmann was born the 9th of June 1927 as the youngest of three children in a merchant family in Bonn. In her middle-class Christian parental home she experienced the ideological debate about National Socialism as a child. Her adolescence was strongly influenced by the war: Her oldest brother died in Africa in 1941, her younger brother was in Polish imprisonment for many years. Aircraft bombs, flight from home, the experience of hardship and death, the fight for survival and the hardness of the recommencement after the war left deep marks in her. Probably all these experiences led the 18 year old to the decision to abdicate matrimony and family in order to give all her time to social duties. 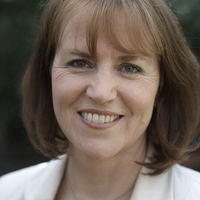 She studied theology and worked as a catholic religion teacher in Bonn and Cologne. For her, religion meant not only talking about it but also acting. So when on that particular day in 1959 a student from Rosi Gollmann brought her an article from a German magazine in class, she had to act. The described misery in an orphanage in Andheri close to Bombay (today Mumbai) left Rosi Gollmann restless. Together with her students she packed hundreds of parcels with essential goods for the orphans of Andheri. Her first trip to India in 1962 was the final turning point of her life (many other trips to India and later to Bangladesh followed, she never counted the exact number of her trips). When she reached India she informed herself intensively about the circumstances there, she got to know and love the poor and needy, the disenfranchised and the outcasted. When she came back from her trip she started raising awareness in Germany for the hardship in India and our responsibility to change it. She found more and more like-minded people and motivated many to share what they had. Hints and queries regarding unethical behaviour or suspet of corruption connected to the work and projects of ANDHERI HILFE can be given directly to the following persons. The same will be treated confidentially and immediately.